Long chains of leaves or flowers, known as garlands, have been around for centuries. They were originally used in religious ceremonies, but over time were more commonly used as decorations in homes and other buildings at times of celebration. They were worn during weddings and festivals, and adorned statues. 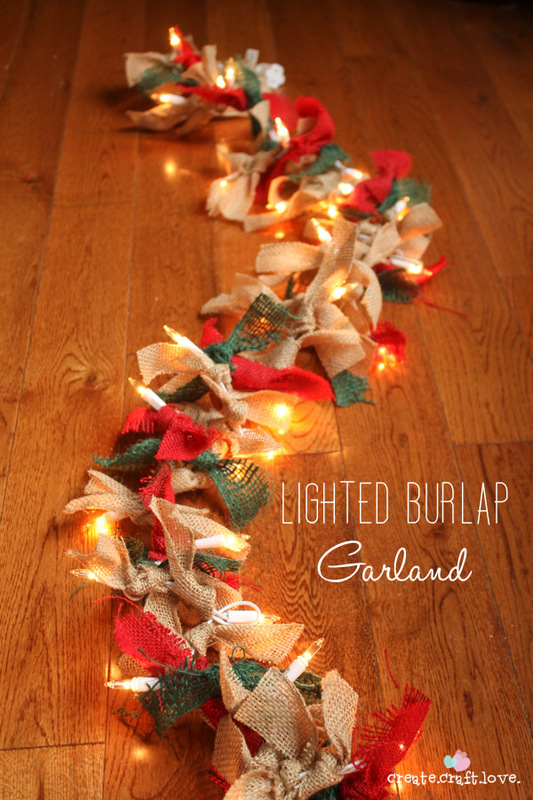 Today, garland is most commonly used to decorate homes for the holidays, and there are more than a dozen different ways to do so, with a variety of materials. 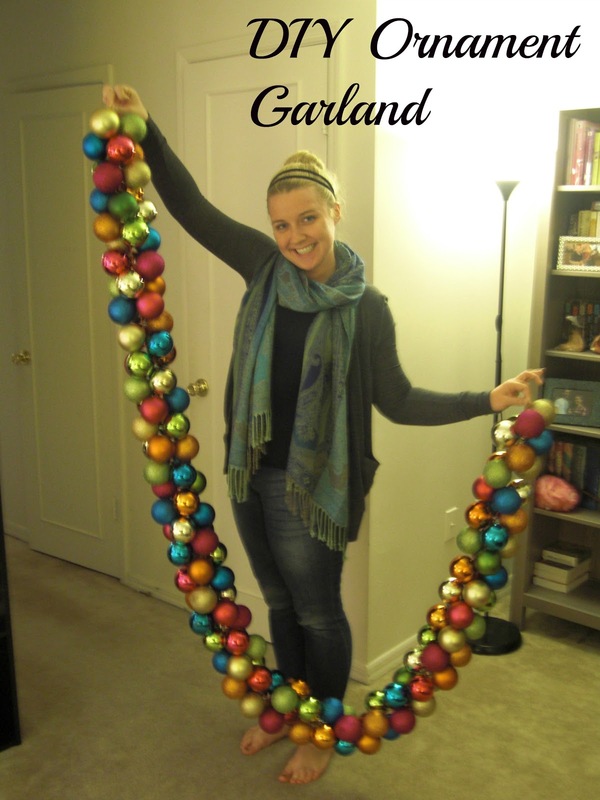 There are numerous ways to decorate a home with garland. 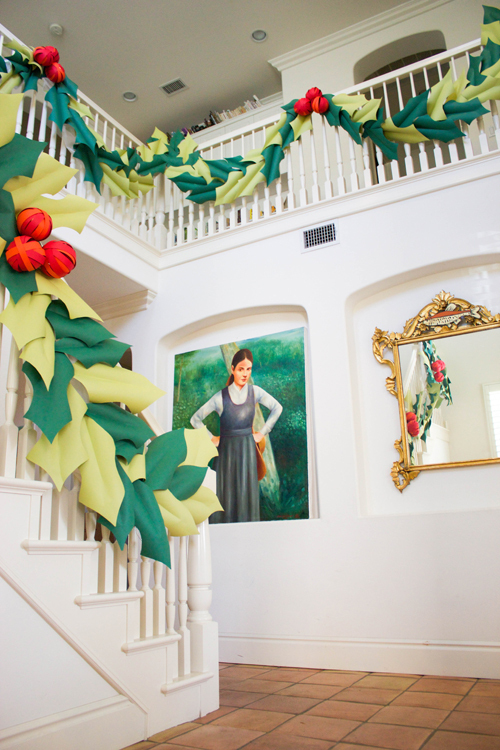 Inside the house are a great many surfaces that can be adorned with garlands, both traditional and the unexpected. The staircase can actually offer two decorating options. 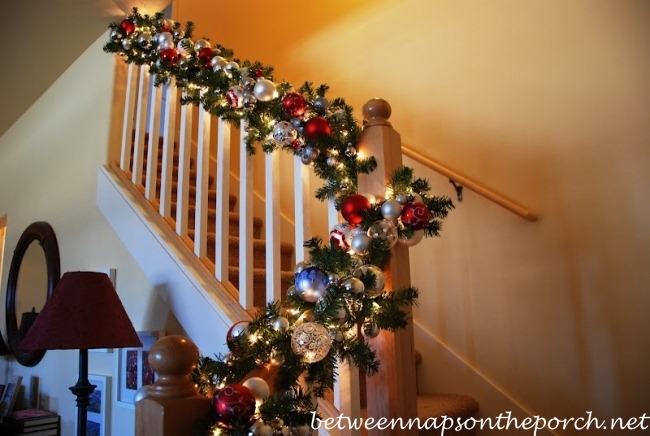 First is the handrail, where garland can be wrapped around, or draped, depending on the wishes of the decorator. For those wishing to avoid possible scratches on the stair railing, and leave that area open for hands, the spindles are another option. 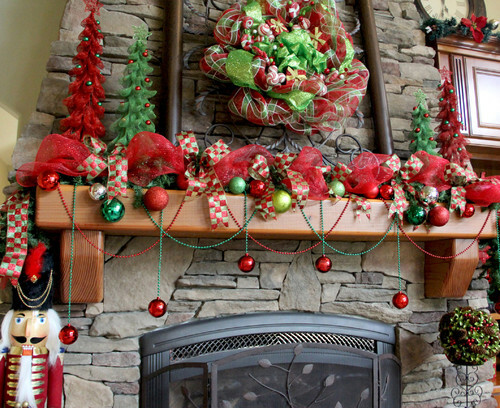 The fireplace mantel is one of the more traditional areas, where garlands can be found draped over the top and hung down the sides. 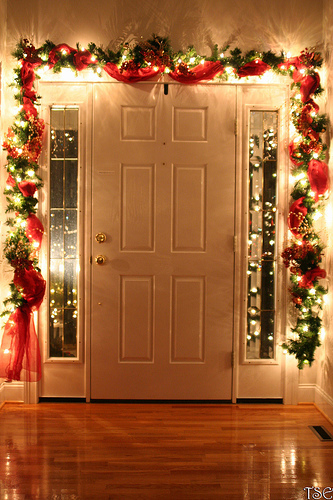 Garlands hung over the front door entrance can offer guests a warm decorative greeting. While trimming the door, don’t forget to add some to the windows. 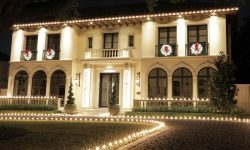 Adding a few lights and stockings will make anyone walking by want to join the celebration. The large framework that separates the rooms of the house offer a large area to hang garlands that is also out of the way of guest. 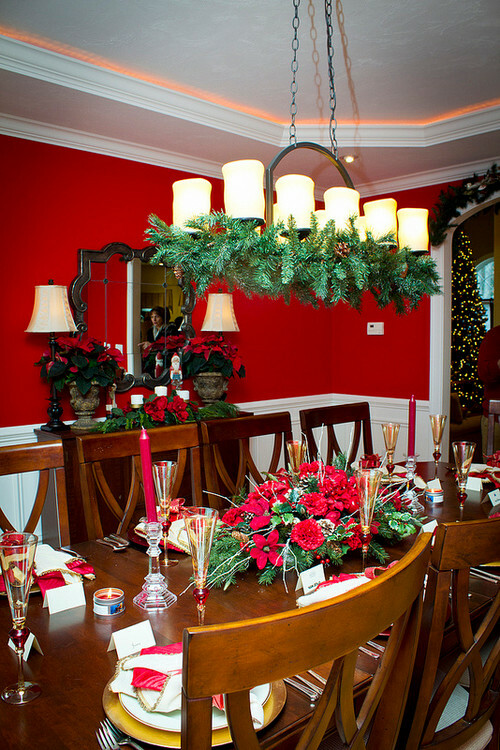 Furniture can also be decorated for the holidays. 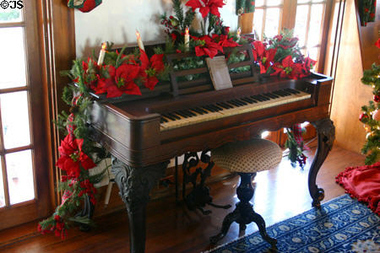 A leafy chain draped over a piano can offer a festive feel that just begs for a few carolers to gather around. The kitchen has multiple surfaces that can be adorned with garland. 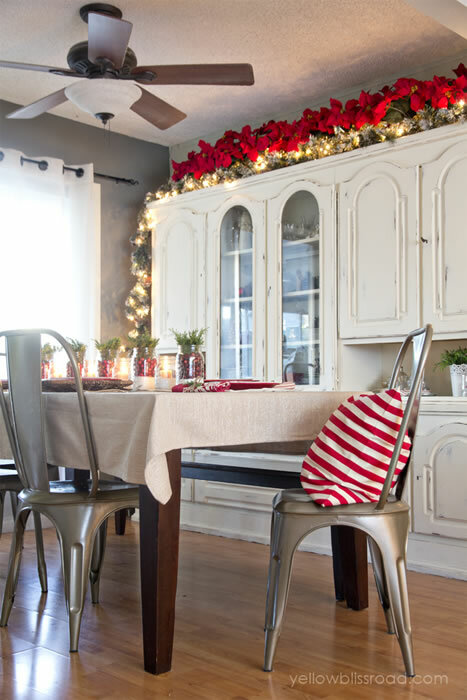 A high cabinet draped with greenery and soft lights can add the holiday feeling to any meal. Forget the traditional table centerpiece. 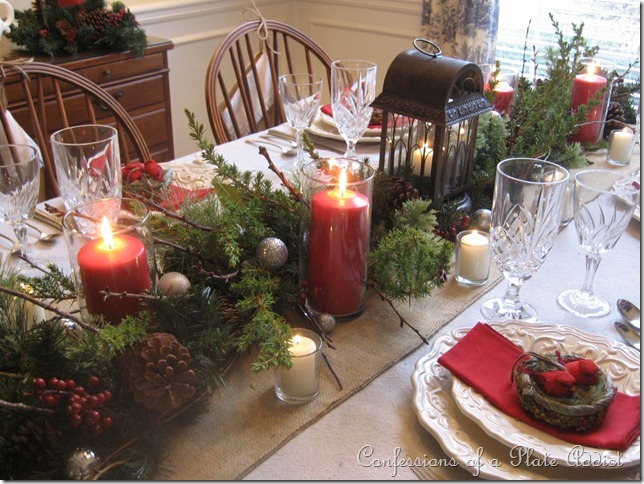 A beautiful strand of greenery will create a much more pleasing view while nibbling turkey and stuffing. Lights and chandeliers are also an excellent place to hang garland, as they are out of reach of baby hands, but are still pretty to look at for the grown-ups. 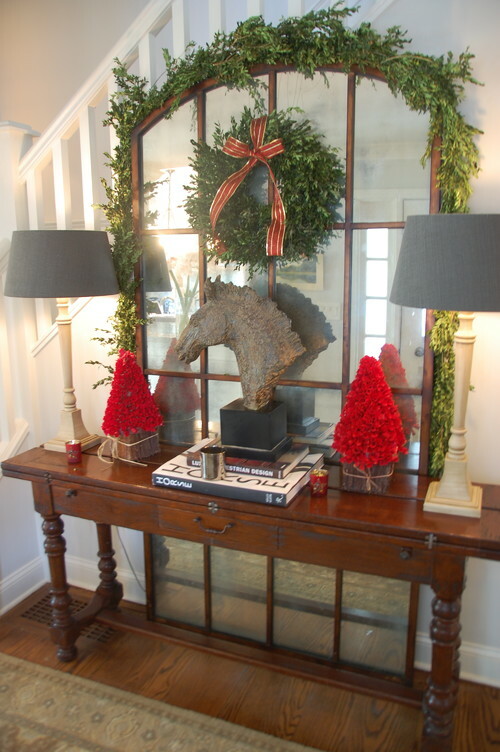 If decorative mirrors are hung around the house, a festive garland could add to their beauty, while the mirror itself reflects the festivities in the rest of the room. 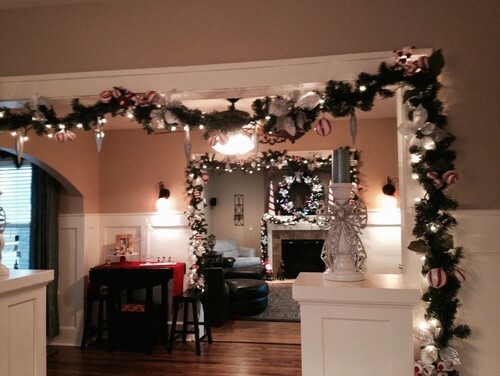 The inside of the house is not the only place where decorations can be strung. The exterior offers a wide range of places to adorn with your favorite pieces. 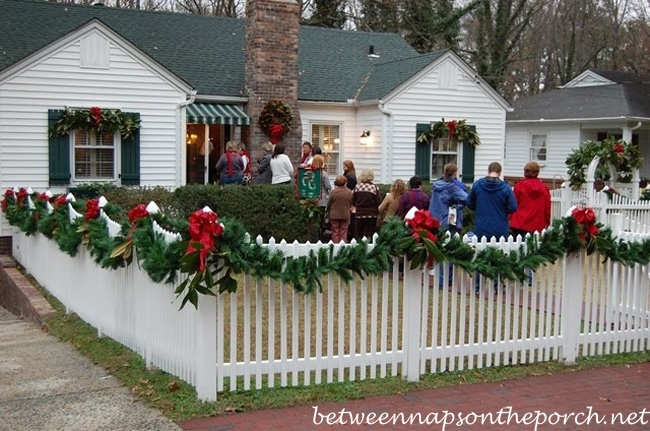 Exterior porch railings can be strung with garlands in a similar fashion as the stair railings inside, to spread the joy of the season to arriving guests. Don’t forget the mailbox beside the sidewalk. 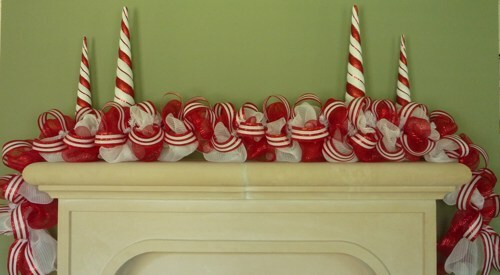 This short pole is perfect for wrapping garland around, with a festive bow on top to complete the work. 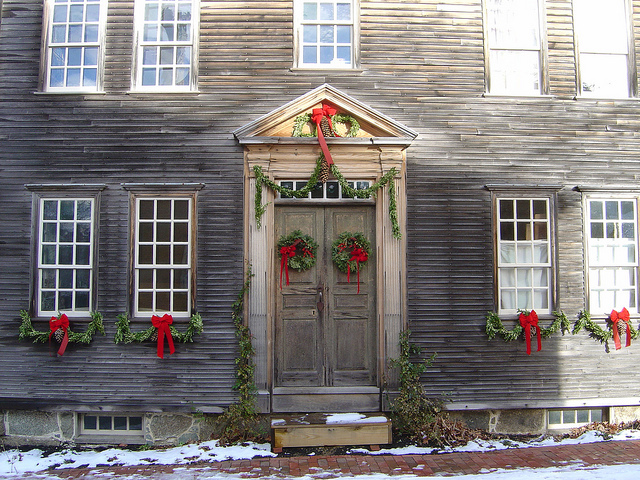 The exterior windows and doors can be hung with garland as well. Why should the inside have all the fun? 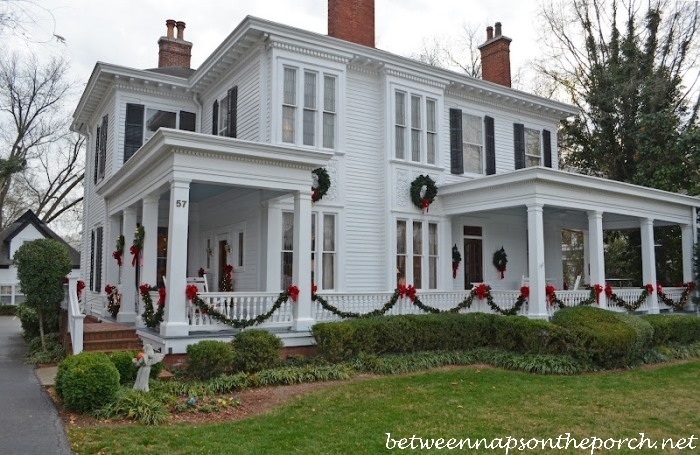 The big house is always the first a decorator thinks of when pulling out their decorations. 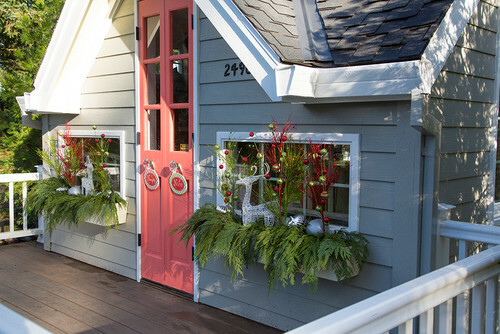 But if a playhouse is nestled somewhere in the backyard, hang some garland there as well. The children will love having their space added into the decorating process. While outside, don’t forget the homes of any outdoor pets. 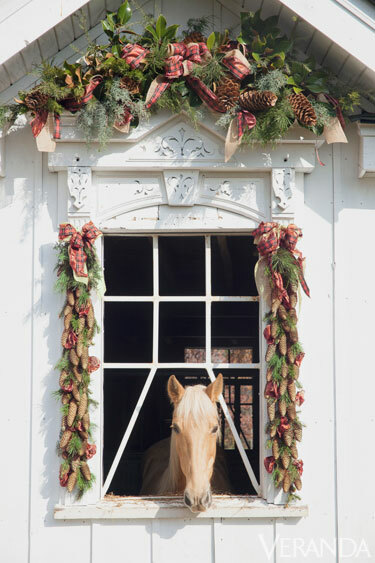 Doghouses, or even stables for a much-loved horse, can be draped with garland to show just how important those animals are to the family. 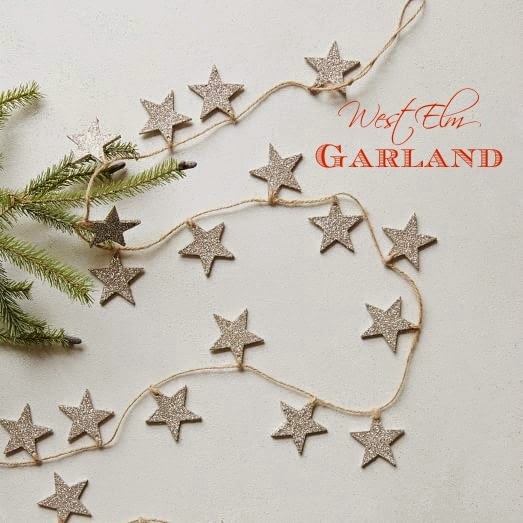 Garland is traditionally made with greenery such as pine or evergreen boughs, and more recently with the same metallic material as the tinsel spread over the Christmas tree. 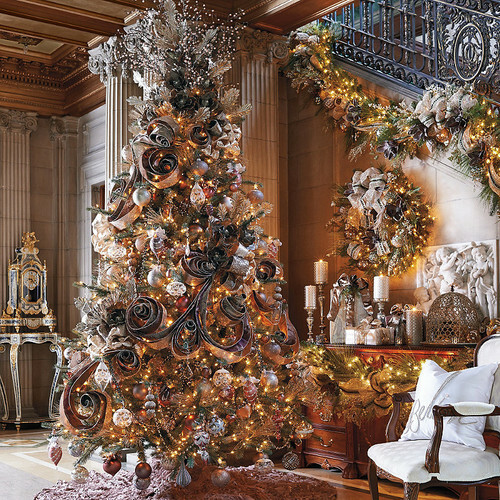 But for those looking for a new tradition, there are many materials that can be substituted for a brand new holiday look. 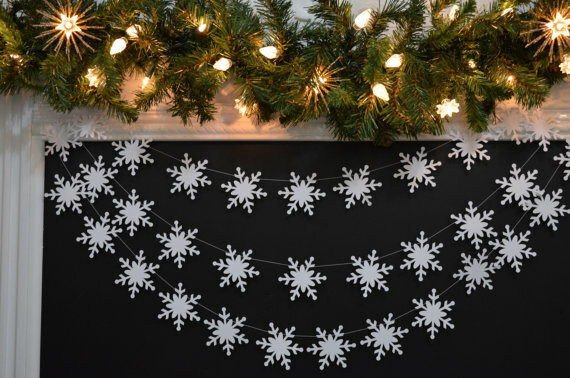 A silvery homemade star garland can be strewn over a lovely tree, a window, or near any lights that can make them sparkle like those diamonds in the sky. Colored balls aren’t just for hanging one by one on a tree anymore. String a bunch together for a repurposed look that can be hung anywhere, even between two bookshelves over a television. Replace the long strings of metallic garland on the tree with a beautiful ribbon, to add a new look, as well as a new use to those ribbons adorning past gifts that are just too pretty to throw away. Snowflakes don’t just belong outside. 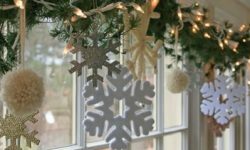 Some handmade, or even store-bought, snowflakes can be hung to bring a bit of sparkle and beauty to any area of the house. 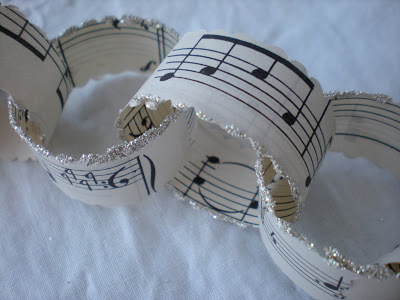 For the musicians out there, garland made of sheet music is quite easy to make. Cut it up into strips, paste the ends to make rings, turn the rings into a chain, and a beautiful musical garland is born. Colored paper can also be used to create various other decorations. 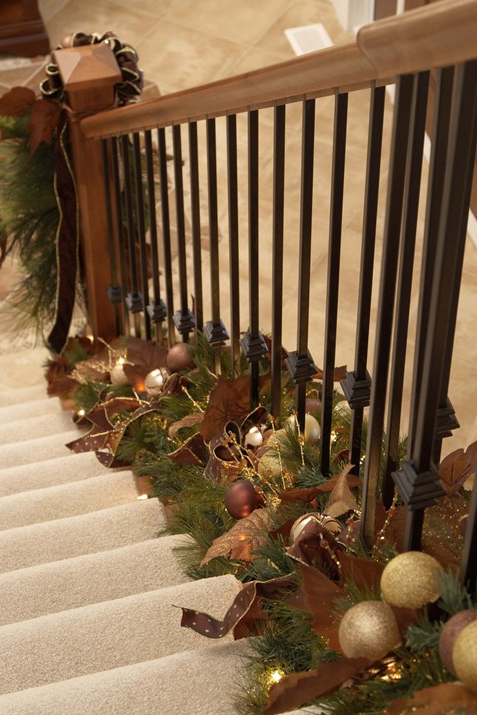 For instance, cut it into holly, accented with paper berries, to decorate a staircase. 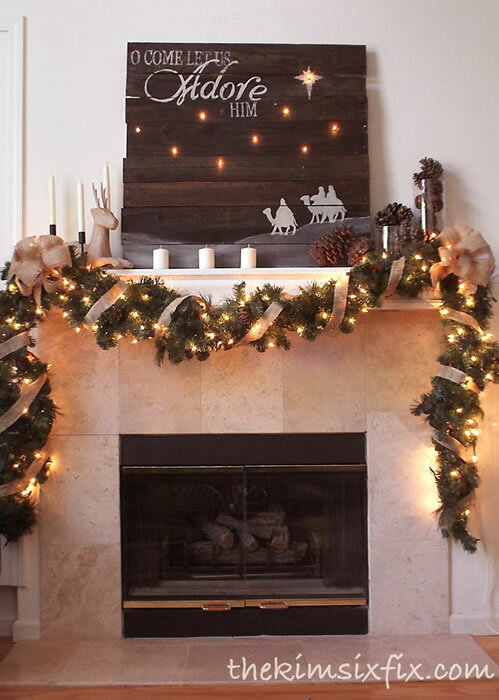 Burlap isn’t something most would think of to decorate with, but a long length of it and a bit of string can actually make quite a beautiful strand of garland with which to adorn the mantle. If one is a traveler, who has done some picking around the beaches of the world, there may be a variety of seashells near to hand. 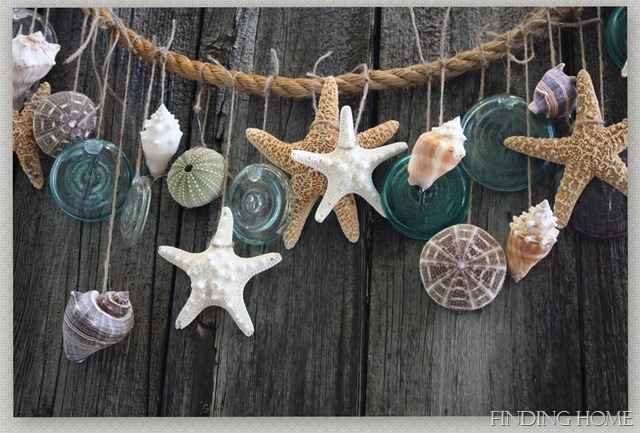 Stringing them along piece of heavy rope for a more sea-faring feel can offer a less traditional holiday feel, but gorgeous nonetheless. 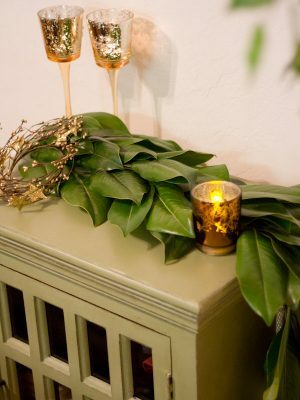 Magnolia leaves can be a fresh new replacement to the much-used pine and cedar leaves. 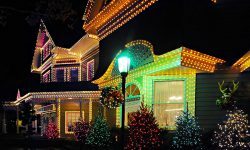 And if a bit of color is wanted, add some bows or even a string of colored lights to enhance the view. 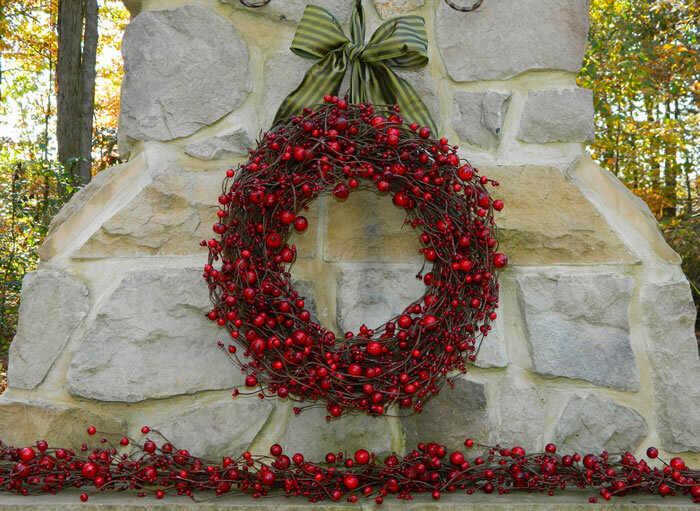 Berries are another alternative for an outdoorsy strand of garland. 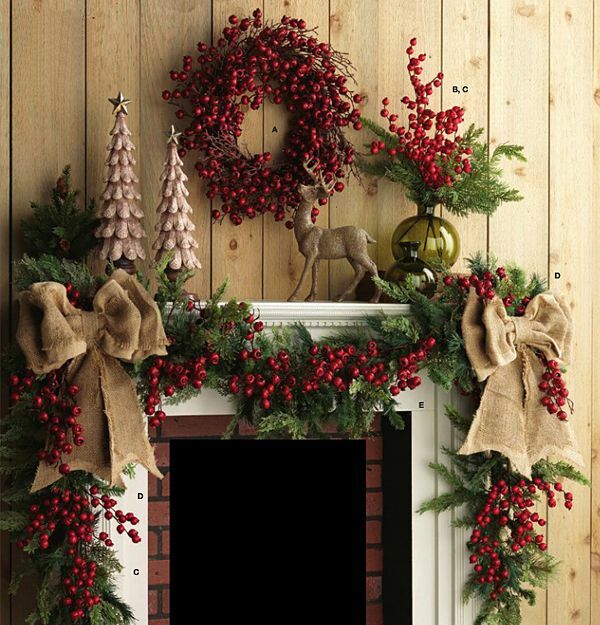 Wrapped around a tree, or just laid upon a mantle, these red beauties add a natural touch to any room. 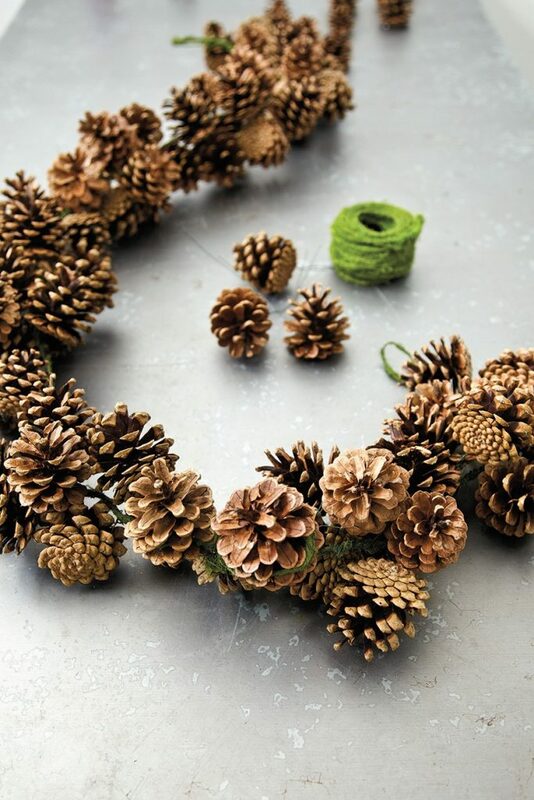 Pinecones are also a natural object that can be secured together for a more eco-friendly garland, and they look rustically fantastic, too. 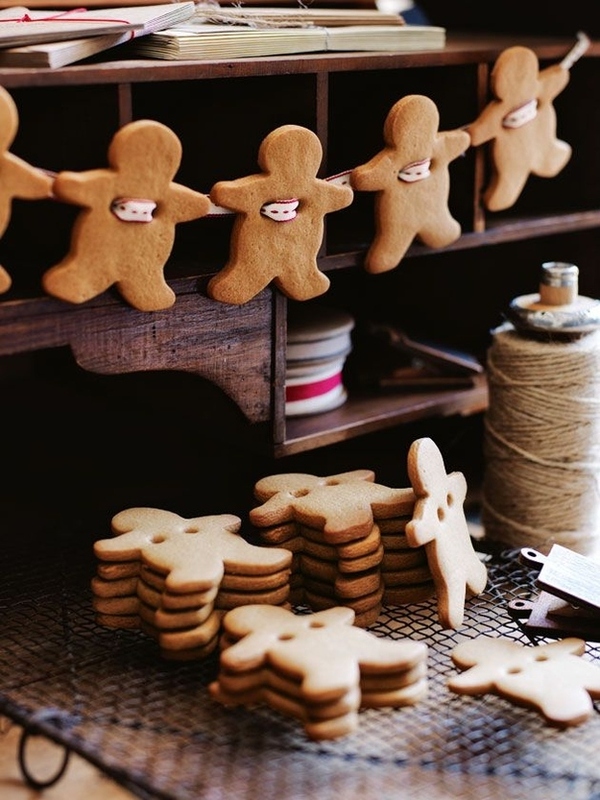 A tasty-looking string of gingerbread garland will have the mouths of all guests watering, but these are unfortunately inedible. But with three coats of varnish to keep them from rotting, these little decorating treats will last for years. If the more common greenery is preferred, perhaps a bit of dressing up is in order. 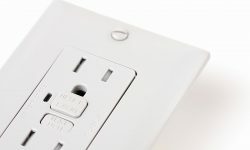 There are a few traditional, and non-traditional items that can bring out the fantasies of any decorator. 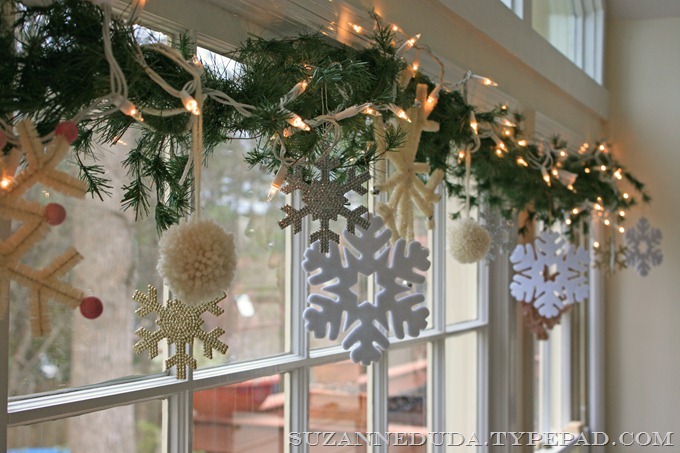 Lights, both soft white and colored can make a garland shine. Turn off the overheads, and let them create a holiday ambiance while watching the snow fall through the window from the comfort of your favorite chair. 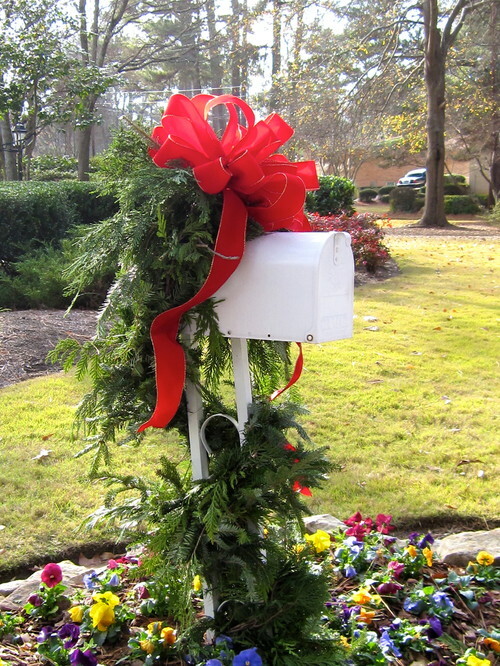 Instead of colored bows, scatter a few flowers into the greenery for a completely natural garland. 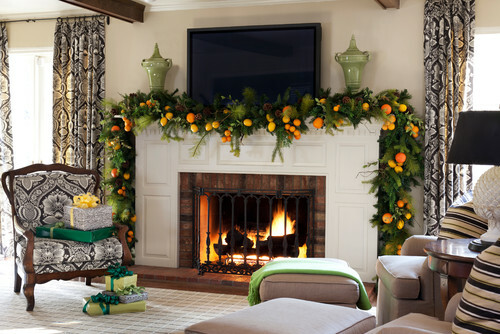 Fruits like oranges and lemons can add a pop of color to a leafy garland, and offer a lovely scent as well. 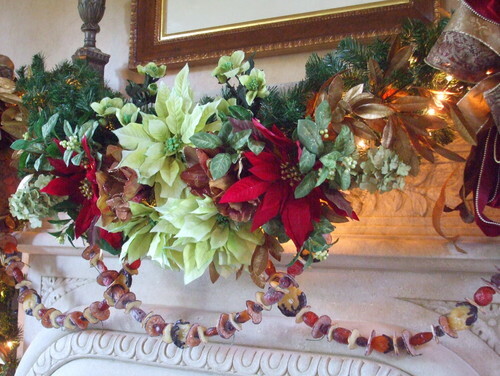 If an entire garland made from just one of the items listed above, like burlap or berries, is not too suitable, mix them up and add them to the more traditional natural branches and leaves to make up a style that combines the best of all worlds. 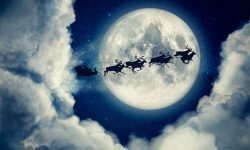 With the holidays fast approaching, decorations are on most people’s minds. 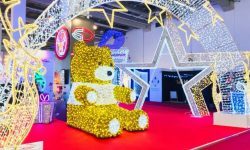 With these different variations on garland, it is a guarantee that each decorator will find something they love, and a style that brings out the best in them, as well as their home.